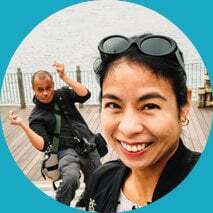 Sentosa is all about FUN. Nicknamed the “State of Fun”, it’s a popular island resort that draws in over 20 million guests annually. 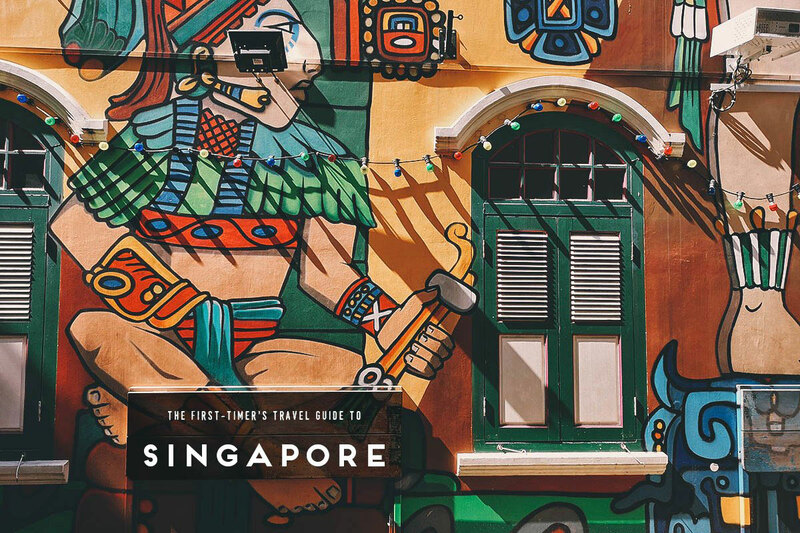 If you’re visiting Singapore with kids, then I’m guessing it’s already on your itinerary. We don’t have any children (other than each other 😆 ) but we decided to spend a few hours here anyway just to see what this island of fun had to offer. This is arguably one of Sentosa’s most popular attractions and with good reason. It’s so much fun! You ride a lift to the top of the hill then drive back down on a gravity-powered street luge car. There are 2 tracks — each over 600 meters long — and it takes about 5-10 minutes to get to the bottom. The ride does feel a little short but it’s still super fun. Follow this link for more information on the Skyline Luge. This place had us cracking up. 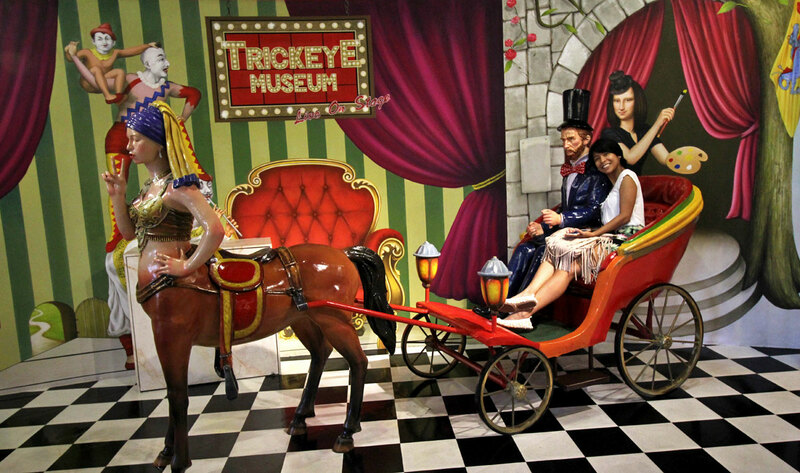 Trick Eye Museum is a chain of optical illusion museums that originated from Korea. It features 3D paintings and installations that you can interact with to create hilarious and often mind-bending optical illusions. If you enjoy taking pictures and posting them on social media, then you’ll have a blast here. Check out my post on Trick Eye Museum for more pictures and information. S.E.A. Aquarium is awesome. It’s one of the biggest and best aquariums we’ve been to thus far. 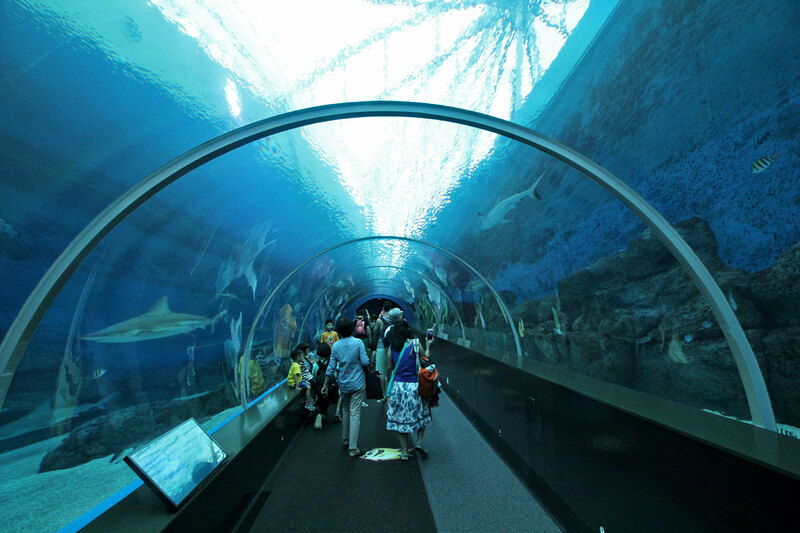 It features 49 habitats housing over 100,000 marine animals. There are many interesting things to see here but some of our favorites include the moray eel tank and jellyfish exhibits. They’re trippy man. Read my post on S.E.A. Aquarium for more pictures and information. Neither Ren nor I had ever been on a Segway before so we wanted to try it. It was super fun! Problem was, this ride was basically just an intro to Segway riding so it was too short. We went up the road then back down again. That was it. The whole thing lasted about 10 minutes so if you’d like more time, then go for the Segway Eco Adventure ride. It’ll last 30 or 60 minutes and will take you to one or all of Sentosa’s beaches. 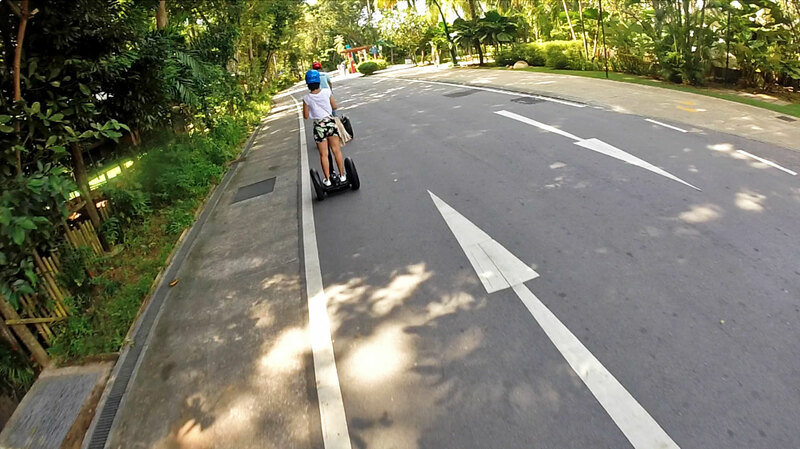 Follow this link for more information on the Gogreen Segway rides. Sentosa is an entire island of attractions so the 4 listed here are just a fraction of what you’ll find there. There are 4D theaters, a butterfly sanctuary, action parks, watersport facilities, golf courses, beaches, and plenty of restaurants and hotels. Universal Studios Singapore is here as well. If you have kids, then you can easily spend an entire day (or two) here. You can save on the fees for all these activities by purchasing a Sentosa FUN Pass. For just SGD 48, the PLAY 3 pass gives you access to 3 out of 20 Sentosa attractions, including S.E.A. Aquarium. You can also get a PLAY 5 pass for SGD 65 and a PLAY MAX pass (20 attractions) for SGD 115. You can follow this link for more information on the Sentosa FUN Pass. If for some reason you don’t want to get a Sentosa FUN Pass, then you can save on the cost by purchasing advanced tickets from Klook or Kkday. 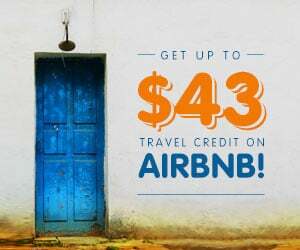 Please find below prices for 3 of the 4 attractions listed on this post. They sell discount passes to Universal Studios as well. Follow these links to buy discount passes to Universal Studios Singapore from Klook or Kkday. There are many ways to get to Sentosa Island but the most popular for tourists would probably be by monorail or cable car. First, take the MRT to HarbourFront station. From there, you can follow the signs to go either by Sentosa Express (monorail) or by cable car. Sentosa Express costs SGD 4 per person (unlimited rides) while the cable car costs SGD 29 for adults and SGD 18 for kids ages 3-12 (round trip). If you’ve got energy to burn, you can even walk to Sentosa if you like. 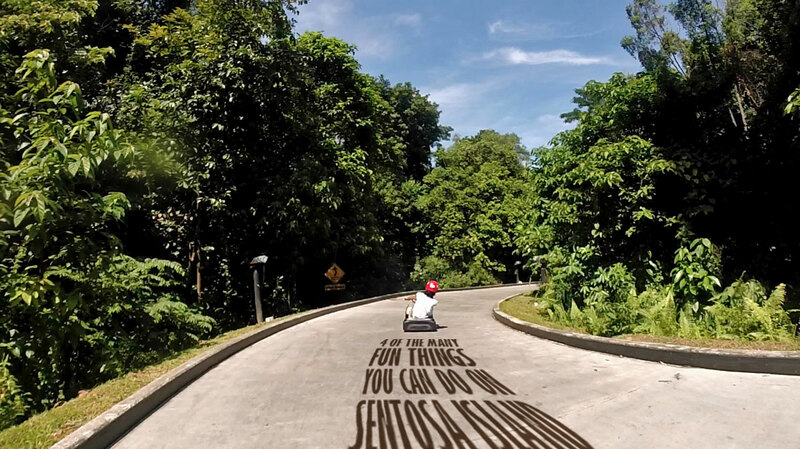 Follow this link for more information on how to get to Sentosa Island. Some of the links in this post are affiliate links, meaning we’ll get a small commission if you make a purchase at NO extra cost to you. We really appreciate your support as this helps us keep this website going. Thank you! Sentosa island is one of the best places to visit in Singapore. I must say, its the best place to see in Singapore. As there are lots of activities to do in Santosa. I like Giant Swing, the biggest swing in Singapore.